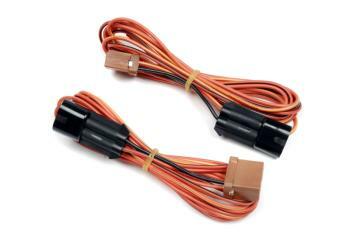 Password:JDM now offers Plug n Play headlamp conversion harness for common JDM Headlamps. We came up with these all because we see hack jobs all the time with JDM headlamp conversions. It’s just another clever must have item for all the guys who want to keep their cars looking clean. For the amount of time you would spend cutting, splitting, and splicing, why not just buy these and get it over with within 30 secs? Why tool and toy around under your hood for hours on end only to get a hack job you have to hide and explain to onlookers and such? It shows a lot about you when you keep your ride looking clean. Get these on your car and get compliments all the time for a change. You can buy the headlamps from almost anybody, but the must have clever goodies such as these are only AVAILABLE from PASSWORD:JDM!!! For those who want to swap their two-piece USDM headlights for the one-piece JDM version. Need an easy plug and play for your JDM one piece Stanley headlights? Then this is what you need. This harness makes installation a breeze.